While many of us our happy that the spring season and warmer temperatures have arrived, the reality is that home maintenance comes right along with it. There is a lot of maintenance activities that homeowners need to address during the springtime, and your gutters are certainly no exception. 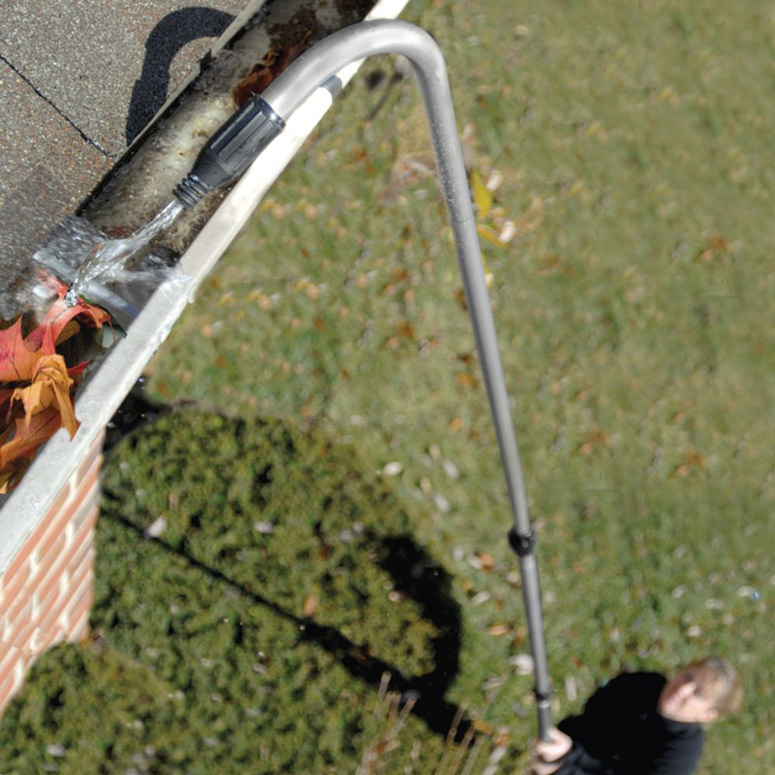 If you have yet to get debris from winter out of your gutter system, there is no better time than the present. As the last few months have gone by, plenty of opportunities presented themselves for your gutters to fill to the brim with debris. To really get your gutters clean and clear this season, you (or someone else) must climb up on the ladder so you can reach the gutter system. Don’t be surprised if you find a lot of debris such as leaves, sticks, twigs, and even garbage that may have accessed your gutters via strong winds. Whatever you find in your gutter system, it must be removed to prevent clogs. Be sure that you are wearing thick gloves if you plan to pull debris out by hand, otherwise you risk getting poked by sharp objects in the gutters. Scoop the debris out and be sure that water can flow freely through the gutters and downspouts. Once your gutters are cleaned out, you’ll need to make sure that they’re functioning properly. The last thing you want to happen is for a rainstorm to come by and discover there are major leaks in your gutters or undetected clogs. One way you can accomplish this is by climbing up on a ladder and allowing the hose to send water through the whole gutter system. You might need a volunteer to help move your hose to various locations around your home. The idea is to walk around the perimeter of your home as the hose is running and check for leaks. If you happen to detect leaks during this test, you can either patch the area or replace the section of the gutter. If you discover problems such as the gutters are pulling away from the house, this is an indication that the fascia board is damaged. This needs fixed as soon as possible, since the gutters will sag and cause more water to run—which results in even more damage. One of the surefire ways to keep your gutters clean and clear this season is with gutter guards. Don’t allow clogged gutters to damage your home and take the cheer out of the season—contact us today about gutter guards. Should You Choose Double Hung for Your Next Replacement Window? Shutters vs. Curtains: What is the Right Window Treatment Option for You?